Bumblebee appears in an aspect ratio of approximately 1.85:1 on this 4K UHD Disc. Expect a terrific visual presentation here. Like the Transformers flicks, Bumblebee favored stylized colors and leaned toward orange and teal. 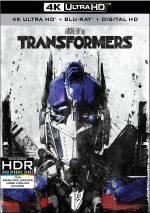 These didn’t elevate to the crazy levels of the prior movies, at least, and they came across well within the movie’s design choices, and the disc’s HDR capabilities added depth and impact to the tones. Blacks were always deep and tight, and I saw good contrast as well. Shadows seemed clear and appropriately opaque. The HDR brought out extra life to whites and contrast as eell. The 4K UHD became a strong reproduction of the film. How did the 4K UHD compare to the Blu-ray version? Audio remained identical, as both sported the same Dolby Atmos track. Visuals showed a bit of a boost, as the 4K UHD came with improvements in terms of colors and accuracy. These weren’t massive, as the Blu-ray already looked great, but they did make the 4K a bit more impressive, especially in the way it broadened the color palette. No extras appear on the 4K UHD itself, but on the includes Blu-ray copy, we find two components under Sector 7 Archive: “Welcome to Sector 7” (0:50) and “The Battle at Half Dome” (9:19). “Welcome” brings an in-character live-action intro from John Cena, whereas “Battle” gives us a “motion comic”. 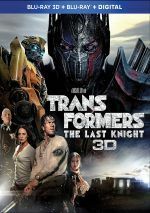 As an extension of the Transformers universe, Bumblebee fares better than its predecessors. That said, the movie doesn’t dazzle, as it feels too derivative to become anything memorable. The 4K UHD brings excellent picture and audio along with a decent smattering of supplements. 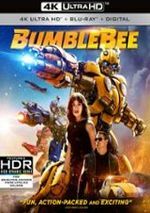 Though moderately entertaining, Bumblebee never becomes better than average.